If you’re not a fan of cutting the grass and pulling weeds, you may be excited that fall means weekend chores may become a little lighter. However, don’t close up the yard shed just yet! You can make the winter and next spring easier on yourself by tackling a few more projects this weekend. Don’t forget about top fall maintenance tips this fall to prepare for winter. Fall – with its cooler temperatures – is a great time to finish up some outdoor to-do’s when the sun is not blazing down. 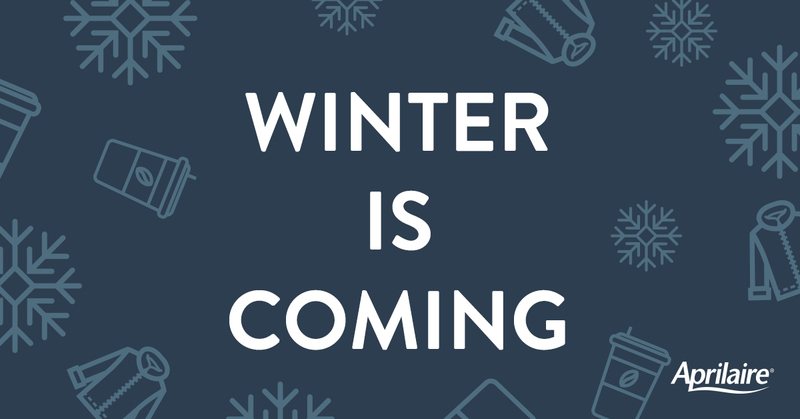 It’s also essential to make sure you’re ready for winter before it strikes and that requires some work on your home: inside and out. Here are a few tips to make sure you have a Healthy Home this fall and winter. Additional lighting – As the days get shorter, sprucing up walkways with ground lighting adds ambience as well as an added level of safety. Walk and caulk – Reducing energy bills, preventing drafts and keeping critters out of the house in the winter starts with a fresh bead of caulk around windows, siding and joints. Mulch garden beds – Adding fresh mulch around landscaping can help protect perennial plants from cold temperatures and keep weeds down next spring. It’s a fall home maintenance project that can also reduce work next summer. Furnace Clean & Check – Your furnace is the heart of your house. It keeps it warm and cozy when the weather outside is anything but. However, it needs a yearly checkup to ensure it doesn’t stop working when you need it the most. Call an HVAC professional today to have it properly inspected and cleaned. Check your humidifier – Ensure whole-home humidifiers have a clean water panel and are working properly. A water panel change is essential to maintaining your humidifier. Proper humidification protects wood floors, instruments, art and furniture from dry air. It can also have positive impacts on health and comfort. Air that is too dry causes static shock, itchy skin, sore throat and other health issues. Improve air purification – When fall begins, it’s also a good reminder that it’s time to replace air purifier filters. A whole-home air purifier can also trap fall allergens, and bacteria and viruses, helping to keep families healthy all year round. Home maintenance in fall is essential to keeping family members safe and comfortable during the winter.